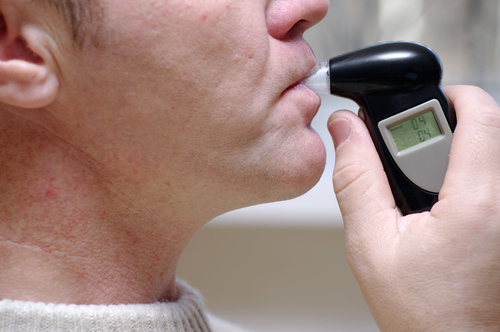 > Blogs > DUI > DUI Defense > Is It Better to Take a Breath or Blood Test in a DUI Stop? Is It Better to Take a Breath or Blood Test in a DUI Stop? The short answer is that it depends and that there may be pros and cons to each option, given the specific circumstances of the DUI stop. A 20-minute waiting period has to pass before breath tests can be administered – During this period, the officer is required to observe the DUI suspect to make sure that (s)he doesn’t belch, consume anything or regurgitate. If anything of these things happen, the 20-minute count needs to restart. This is just one of the various factors that are important to the reliability of breath test results. And this waiting period may allow for BACs to drop before they are tested. Although breath test results cannot be retested, breathalyzer records can be useful to challenging these BAC test results – And these records include details about the type of device used and the frequency of calibration. If an unapproved device has been used or if the device has not been calibrated appropriately, consistently or before use on the driver in question, the results of the breath test can be thrown into serious question (possibly creating an opportunity for dismissal). Blood test samples have to be taken by a trained blood draw technician – And this can mean traveling to the police station or a nearby hospital to have a phlebotomist draw the samples. This too can create a waiting period for BACs to drop; however, it can also mean that samples are taken sooner (if, for instance, an accident occurred and an EMT is at the scene). Blood samples can be retested in the future – This may be one of the biggest advantages when it comes to BAC blood testing over breath testing, as having the opportunity to retest samples later can shed light on when samples may have been contaminated or when labs many have made mistakes in analyzing the results. Another facet of this benefit lies in the fact that lab analysts can be questioned later and lab reports can be entered into evidence, unlike with breath tests when the police report and calibration reports will be the only documentation to fall back on. Colorado blood analysis labs have a history of making mistakes – And pointing out what these mistakes are, how they tend to happen and when it’s possible that such mistakes were made with a given defendant’s samples can strengthen DUI defense cases. Is It Ever Better to Refuse Breath & Blood Testing in DUI Stops? In certain cases, refusing to submit to any BAC testing during a DUI stop may be beneficial to a future DUI defense case. For instance, if motorists may have really high BACs (like above 0.15), refusing BAC testing could prevent harsher penalties from coming into play. Can be used against them later to try to establish impairment. Can make it more difficult in certain DUI cases to work out favorable plea deals. Have you been charged with a misdemeanor or felony DUI in Colorado? If so, you can turn to the Denver & Boulder DUI lawyer at Griffin Law Firm for experienced help and the best possible defense. Contact us by calling (303) 280-1070 or by emailing us using the contact form at the top of this page to receive a complete evaluation of your case, along with professional advice regarding your best options.